On its 4th year, the Citi Microenterprise Development Center continues to support micro business owners turn their dreams into thriving enterprises. They all started with simple dreams–-to put food on the table, help their families, and/or send their children to school. Armed with passion, perseverance, and patience, Rosemarie Eroles, Catherine del Monte, and Deck Ramos worked hard to transform their micro capitals into sustainable businesses. Today, all three can be proud of having successful ventures that improved their lives, aided their families and also their communities as they created jobs and shared their prosperity to their neighbors–-thanks to the Citi Microenterprise Development Center (CMDC). Rosemarie and her husband Alex have been at the helm of a 12-year-old enterprise selling native handicrafts, employing housewives and young women in Lucban, Quezon. Their latest business venture, Marilex Handicrafts, was the result of Rosemarie’s training at CMDC in 2012. She then put up Marilex Handicrafts, an offshoot of their husband-and-wife business Eroles Collections. When selling their products in bazaars, people started noticing the quality and style of their bayongs which paved the way for them to supply to established retailers such as SM and The House of Tesoro. She proudly says that they have become a hit with balikbayans who in turn have become ‘exporters’ of her products. 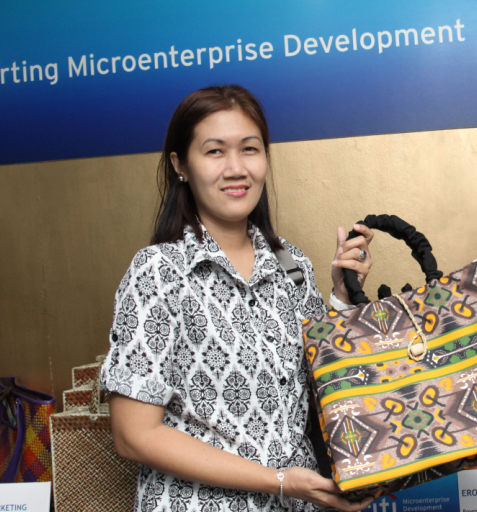 Rosemarie Eroles displays her fashionable bayong during a recent exhibit at the Citi Microenterprise Development Center. Catherine and husband Richard’s one-stop shop for cellular phone products has been steadily expanding that it now occupies an entire block in one floor of Sta. Lucia Mall in Cainta, Rizal. When they were starting out, they only occupied a small corner which friends and family discouraged them from leasing, as the location did not attract a lot of customer foot traffic. "When we started years ago, we were the only ones who offered to repair cellphones. Even then, we already saw the opportunity to expand and also sell cellphone accessories and carry a wider range of units. We began to grow our customers because we were able to provide for all their cellphone needs through our one-stop shop. Soon, we saw other tenants in the mall doing the same," says Richard. The Del Monte couple is unfazed with the ‘competition.’ In fact, they welcome it as they discover more opportunities for income-generating activities. "With the income we have set aside, we expanded our space so that we can reach out to more customers." Beyond offering repair services and selling accessories, they have also invested into various cellphone-related businesses employing technology-savvy youth. "We have also recently opened a pawnshop for gadgets so customers who need immediate cash can also come to us. We also opened a printer repair shop so if the cellphone business slows down, we have another business to turn back to." 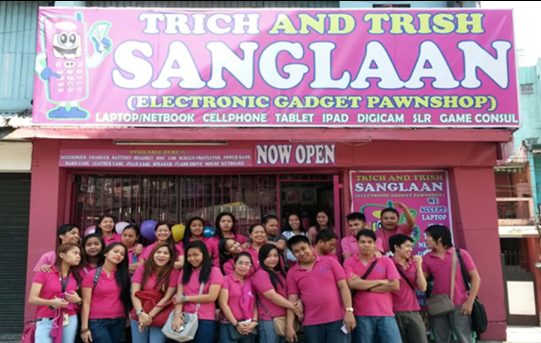 Husband and wife Richard and Catherine Del Monte recently opened their newest branch of Trich and Trish Telecom Marketing located along Marcos Highway, Cainta, Rizal. Deck is currently the manager and artistic director of KCED Events Entertainment Company, which provides talents for various events and parties. Interestingly, he started as a flower vendor until he became a preferred supplier of leis and garlands for the guests of the Department of Tourism (DOT). Today, he helps an entire barangay in Cebu craft his special wooden leis that tourists buy as souvenirs. If there’s one thing that Deck has learned from his classes at CMDC, it is that one has to grab opportunities as they come. He admits that he is a “yes” guy, preferring not to turn down various business opportunities that come his way. Through KCED, Deck says he finds great fulfillment to be able to help a lot of talented Filipino entertainers gain a steady source of income. 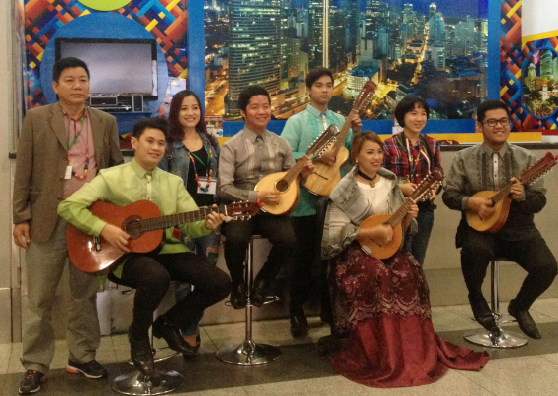 Deck Ramos, through his company KCED, provides performers for local events in partnership with the Department of Tourism and the Tourism Promotions Board. All three credit a lot of their training from CMDC in honing their entrepreneurial skills, showing them new and better ways to manage their people and finances. “The most important business technique I learned from CMDC is to avoid taking the profits from the business into buying things that are usually ‘luho’. I admit that it was really tempting in the beginning to splurge and buy things that we don’t really need but want to have. But now, we take into consideration first what we would do with the profit. We decided to save while rotating the capital to our other businesses,” says Rosemarie. Deck shares what he learned and continues to encourage others to join the CMDC program. “I was so overwhelmed with the way Citi and Bayan Academy have helped us microentrepreneurs. Citi has provided mentors who genuinely have the heart to reach out to us, listen to our problems, and recommend us the right solutions,” Deck enthuses. In 2011, the Citi Foundation funded a pilot program to address the knowledge and skills gap of low-income microentrepreneurs, and help them scale up to small or medium-size businesses. In partnership with Bayan Academy, CMDC was born and four years later, it has nurtured almost 2,000 micro business owners like Catherine, Rosemarie and Deck, all keen to take that next big step. “Citi around the world recognizes the critical role that micro businesses play in driving economic growth. In the Philippines, we have seen how ventures that started with as little as P100 can grow a thousand-fold, into businesses that employ 20 people, providing welcome income not only to the entrepreneur but also to all the workers and their families,” explains Aneth Lim, Director for Public Affairs and Corporate Citizenship. CMDC offers the Grassroots Entrepreneurship and Management program, providing quality and intensive enterprise development training programs nationwide in Metro Manila and slowly spreading out to Visayas and Mindanao.